Menswear shopping has long been thought to be slower and less trend-reliant than womenswear shopping, but with a ‘menaissance’ in full swing, male shopping habits are moving in a similar direction as women’s. We uncover the insights behind hyper-trend-reliant brand BoohooMAN and what its success says about the way men are now shopping for fashion in 2018. After gaining immense success with its womenswear line, Boohoo launched its first menswear line in 2016 with BoohooMAN. 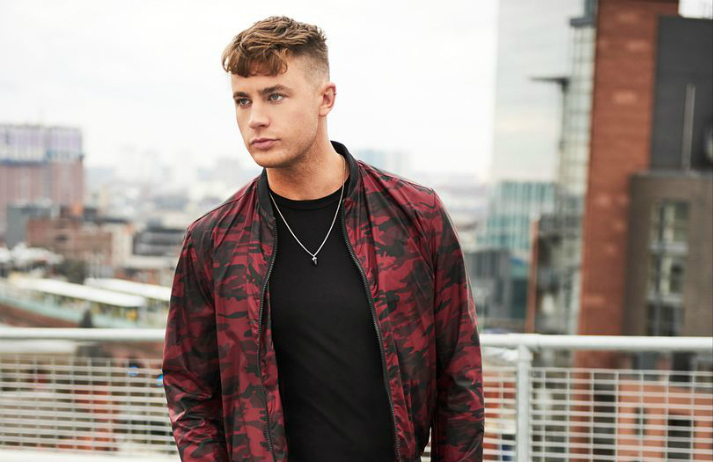 But unlike many other fashion brands that make the leap, BoohooMAN stuck to its guns with its cheap fast-fashion model, offering on-trend clothing from as little as £4. Looks rotate on a fortnightly basis, which is promoted by an equally rapidly rotating series of popular artists or reality stars. BoohooMAN has managed to appeal to its target audience of Gen Z men in the exact same way as it appeals to their female counterparts. With the BoohooMAN brand seeing 500,000 monthly visitors in the first month of its new site’s launch, and with sales increasing by 106% in the first half of 2017, it’s clear that men’s shopping habits are changing. How are men’s fashion shopping habits changing? When compared to women, it’s evident that men are equally – if not more – influenced by factors like fleeting trends or scarcity. In the UK, 26% of Gen-Y men said that they are influenced by fashion trends when shopping, as opposed to 17% of women in the same age bracket, while men’s reaction to trends is reflected in how they shop; 45% of men shopping on mobile devices as opposed to 34% of women, meaning they make more, quicker purchasing decisions. And the fact that men’s overall online conversion rate of viewing-to-purchasing stands at 40%, whereas for women it is only 27%. This shows that they are quicker on the trigger when it comes to making an actual purchase. “Trends play a large part in what influences the shopping patterns of men,” says Tom Kalenderian, executive vice president and general merchandise manager of men’s fashion at Barneys NY. “[The internet] has transformed the average guy who once shopped for replacement items into an aficionado, and maybe even an expert.” The rise of online shopping had a significant effect on the male fashion shopper, allowing men to take an interest in fashion that is distinctly unglossy and private. And BoohooMAN proved that with low prices and an aggressively pop-culture oriented marketing strategy, the interest of the online male shopper can be piqued to the level of a fully fledged fashionista, who follows trends on a regular basis. Selling cheaper copies of celebrity fashion with breakneck turnarounds in trends has transformed Boohoo from a market stall to a high-street powerhouse. And since it has diversified into menswear with BoohooMAN, it is helping to redefine how young men buy clothes. As well as featuring fantastical gadgets and dastardly villains, 2017 movie sequel Kingsman: The Golden Circle celebrates secret agent style. And it’s letting fans replicate the spy look with an official capsule collection launched in collaboration with luxury menswear retailer Mr Porter. Global menswear sales are set to reach $40 billion by 2019, partly fuelled by fashion-conscious fellows who are flocking to social media for inspiration on shirts, shoes and everything in between. How is the Instagram account of luxury brand Mr Porter standing out among the online influencers? With notes of candy floss and sour cherry, Babe Power is the first fragrance from Missguided. And despite its non-designer roots, it's the UK’s fastest-selling perfume of 2017 – an affordable accessory for the young women swapping a signature scent for a wardrobe of fragrances.